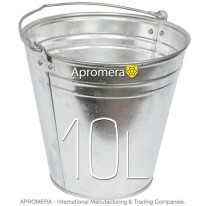 This large Galvanised Metal Bucket - 12 Liters. From the zinc galvanised finish to the styling of the handle fixing, carry handle Diameter Ø 5mm. 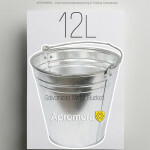 A beautiful and versatile traditional metal pail. 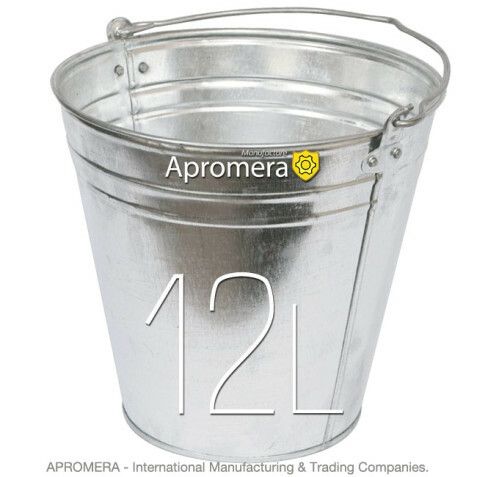 Made from galvanised steel of very high quality, In the manufacture of our buckets we use high quality steel with a high content of zinc. 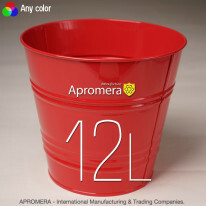 Use in crafts, planters, decorations, floral arrangements, storage, gift baskets, or as a ice bucket for beverages. 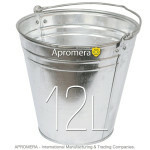 This bucket comes in handy for everyday use around the home, shop, or farm, ideal for decorating your home and garden. Ideal for carrying liquid, or clearing debris in the garden. Coal, Ash, Kindling, Animal, Horse Feed, Suitable for continuous use in industrial applications and much more. 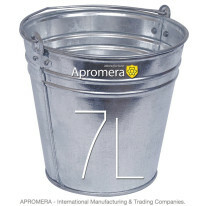 Production Galvanized Metal Bucket – 12 Liters. 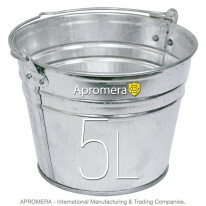 Our factory produces Galvanized Metal Bucket of steel with a thickness of 0.35 to 0.55 mm.